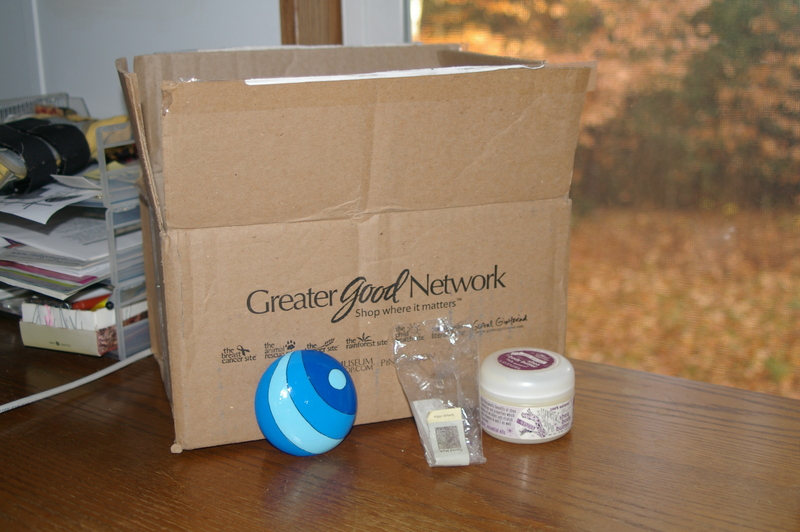 In September I got a package from the Greater Good Network which contained the following three items: a hand mirror, a bar of soap, and a container body butter. First for the bad news. The three small items came in this big box with lots of plastic packaging. Two of the items, the soap and the body butter, are also wrapped in plastic. The bar of soap was wrapped in a thin piece of plastic fit to size. The body butter is contained in a thick plastic container. I’m not sure if either are recyclable. I don’t have much of an opinion on the mirror because I haven’t had reason to use it and I can’t think of when I will need to. I do quite like the blue design on the back of the mirror though. Now for the good news: I love, love, love the soap and the butter! The lemon ritha soap is wonderfully scented and just the right size for one. The ingredients are coconut oil, palm oil, lemon essential oil, myrobolan (natural color) and ritha dust (exfoliate). It has a great scent and lathers up nicely. All in all I liked the products and recommend them. 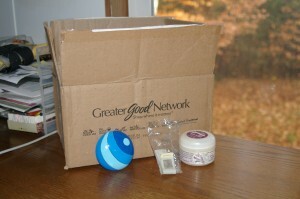 That is funny- my last order from Greater Good came packaged in paper, and my bar of soap was wrapped in paper as well. Oh well.They do have great products!